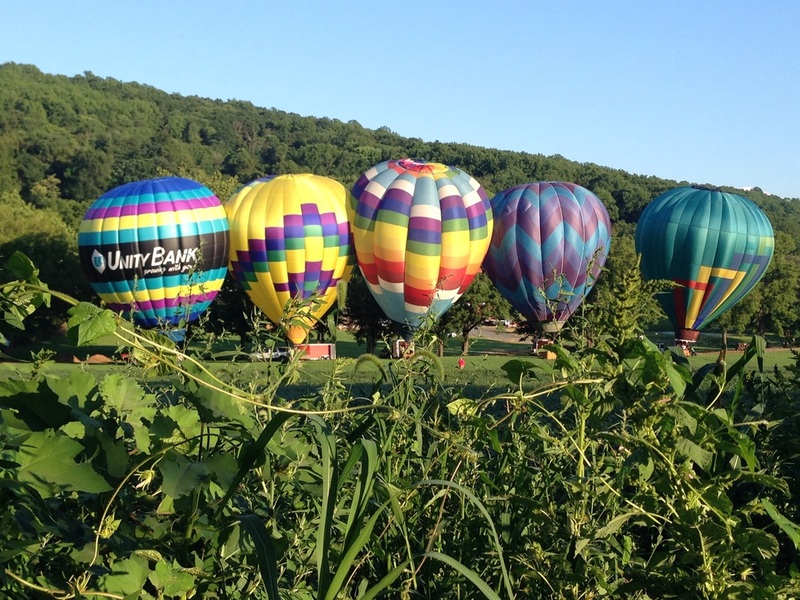 Imagine you & your special someone floating above the scenic and picturesque hills of Hunterdon County. For all flights, we meet behind The Spain Inn II Restaurant located near Clinton, New Jersey at sunrise or approximately 1 1/2 hours before sunset. ​Most of the launches from our Balloon Port provide the colorful spectacle of a mini balloon festival. This provides a great opportunity for passengers to communicate with the pilots, crews and other passengers! Passengers take photos of each other's hot air balloons and the photo exchange arrangements can start at the post flight tailgate party with an exchange of email addresses.